I'm spending a two week period with my tribe this month. I just got home from OnStage in Salt Lake, which was the best gathering we've had in 15 years. It was a-m-a-z-i-n-g. Here's a pic of our team dinner. Melanie Hopes, James (Lee's husband) and Diane Belcher joined us, and look who was sitting in the corner! :) We love the Red Iguana - it's a must-eat if you visit Salt Lake. We had a great time, the spring weather and flowers in Utah were AMAZING, and we had a blast seeing all the new goodies you'll get to see soon. Now I'm home for just a few days and then off to a crafty retreat so it's a busy spring! 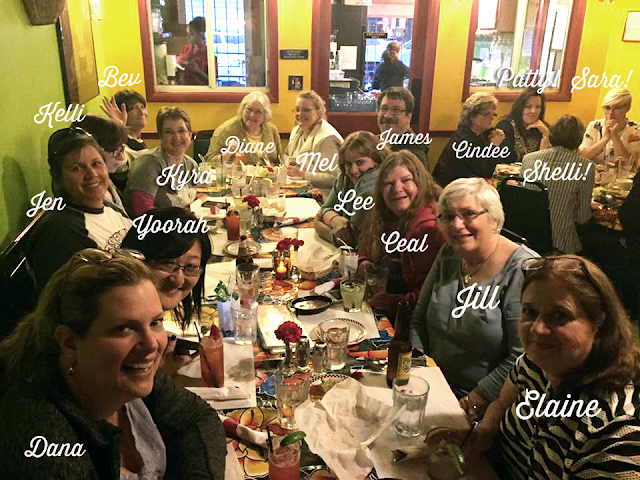 Today, I'm hopping with friends from Concord & 9th, and My Sweet Petunia to celebrate the April release which is beautiful! I laughed so hard when I saw the You Crazy Cat set! 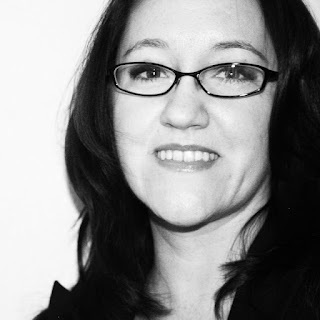 I had done a guest spot on Brian King's team call a while back and when I gave him my bio with all the info about me, I also added "and I'm not a crazy cat lady - I only have two cats." It's like they read my mind with this set because look what it says. HA! See - I'm one cat short of crazy. So I wanted a collage of all these sentiments and the solid images but I just wanted to highlight "crazy cat lady." To do that I arranged ALL the stamps on the Mini MISTI and got them all perfectly straight. Then I stamped them all in Smoky Slate on a piece of watercolored paper. I overstamped the grey several times to get it dark and solid. I didn't want black here because I wanted the gold to be the star. Then, because of the MISTI, all I had to do was peel off the words I didn't want embossed, and re-overstamp the "crazy cat lady" and the solid images in Versamark and then emboss them in gold. Neat trick, eh? That's the first time I've done a spotlighted collage in the MISTI. I'm assuming I invented it - please don't burst my bubble if I didn't. Now because I'm totally NOT a crazy cat lady, I have another cat project for you before I get to the giveaway. I saw this ADORABLE cat coaster tutorial thanks to a friend on Facebook and I had to try it. I loved it so much I went crazy and bought a bunch of felt, so I am selling little pre-cut cat coaster kits if you want to buy one. You just have to tell me what two colors you want the cats, and I'll send you all the pieces. This is beautiful wool felt from Italy. These are for a friend I'll be seeing this week. You might even be able to guess who it is from the cats, but don't tell her - they are a surprise. Aren't they the CUTEST? I don't even know if I could put a drink down on them. So now that I have THREE actual cats in this blog post, does THAT make me a crazy cat lady? You be the judge. On to the hop! My sweet friends Greg & Angie will be giving away a Flourish stamp set from this release, which is spectacular - be sure and watch Angie's video on all the different ways this set can be used, and My Sweet Petunia is also giving away a Mini MISTI. All you have to do is leave a comment on all the blogs on the hop by Friday at noon Mountain time. Have fun on these awesome hop stops and good luck in the drawing! Lol, I wouldn't worry about being a crazy cat lady. All the best people are a little crazy, right? 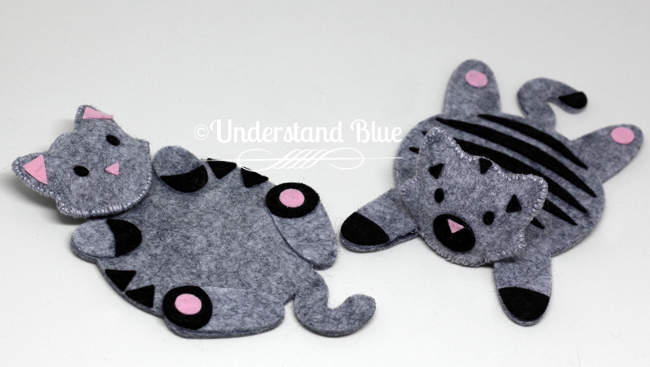 Those little cat felt coasters are super adorable, I'm sure your friend will love them! Love this card, love your tribe, and those coasters.....fabulous!! if you are the crazy cat lady, then I am the crazy dog lady! Great cat card! Fun cat card. Love the gold. Great tip to peel off the stamp and rest amp in Versa to emboss! Gonna try that today. Love the gold on the card. This is super cute! I love the pretty watercolor background. And the gold really pops! I'm more of a dog person, but I know several crazy cat ladies who would adore this. Gorgeous card! LOVE all the gold, and your watercolored background is stunning! Love your fun coasters, too! Thanks for making me smile! Hahaha I only own one cat so I think I still have time to become the crazy cat lady! But either way I love your card - very creative! And the felt kitties are lovely, too! Beautiful card and design! The background looks amazing with the pretty watercolor effect and I absolutely love the pop of gold on your card! Awesome project! Beautiful card! Love the gold! Love that card and my two cats too ^^ ! Great card, lve the gold! The card is so purrrrty! Love the colours and you totally invented the spotlighted collage! :) The coasters are simply adorable - bet she'd love them! you are so creative! I so enjoy your work! Gorgeous and fun card! I need a Misti now! Cute coasters too! Not a cat person but sure did like the card with allthe gold. Wow! Wonderful card! Beautiful background and nice touch of gold! What a cute stamp set! I love the way you highlighted parts of your collage with gold embossing. You just crack me up!!!! Excellent work. This is "get out!" Serious gorgeous cuteness! Awesome cat card!!! The colors are a great choice and that gold just sets it off! TFS! Enjoying the blog hop! I don't think it's how many cats you have ... I think it's the role they play in your life :) Too cute. I have never seen anything so beautiful in combination like this gold and soft colours. Wow. Thank you so much. Love how the gold highlights your sentiment! Lovely projects..........you did a great job and make me want the MISTI even more now! super cool card... love the gold embossing! Wow, your card is so "cat-tastic" ( he hee he!) And the kitties are just so stinkin cute! LOVE your cat card, as I sit here with Coco on my lap.... me in the most uncomfortable position, all to keep her happy! Awesome colors and love the gold embossing against that pretty background! LOVE these!! The gold embossing looks SO pretty and the cat coasters are just adorable!! Love your card!! The gold embossing is SO pretty! Oh, this is cute! My cat-lady friend's birthday is coming up and this would be purr....you know! These projects are too much fun! Crazy Cat Lady? Not sure about that but I do know for sure that you are an enabler. I may just have the mini MISTI now to go with my big one. The card you made is super fun and I love those little Coasters! Awesome card, very funny! I love cats, so I have crazy cat lady potential, LOL. The coasters are far too cute to use, and I think your friend (KW?) would agree. Love your crazy cat lady card! I know and work with such a lady, though she truly isn't crazy. How cute is this stamp set. 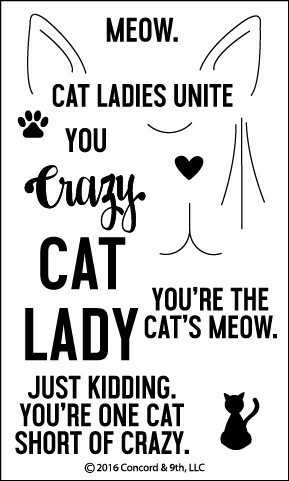 Cat Ladies Unite!!! I can guess who the coasters are for...I know she will love them. Super card! The MISTI is awesome and allows us to do so much more than ever before. Your gold highlights are great. Love those cat coasters. Saw this card on IG and was immediately impressed with the perfection of you word collage. Thank God for MISTI's and this extremely clever cat stamps set. I don't own a cat due to allergies, but I have some cat crazy friends and family! Love this stamp set and your coasters! Your posts always bring a smile to my face! Thank you. Whether you developed the style or not is neither here or there but your execution of it is fantastic! Looks like a fun dinner Lydia. Such a cute card and cute felt kitties! Love this set! 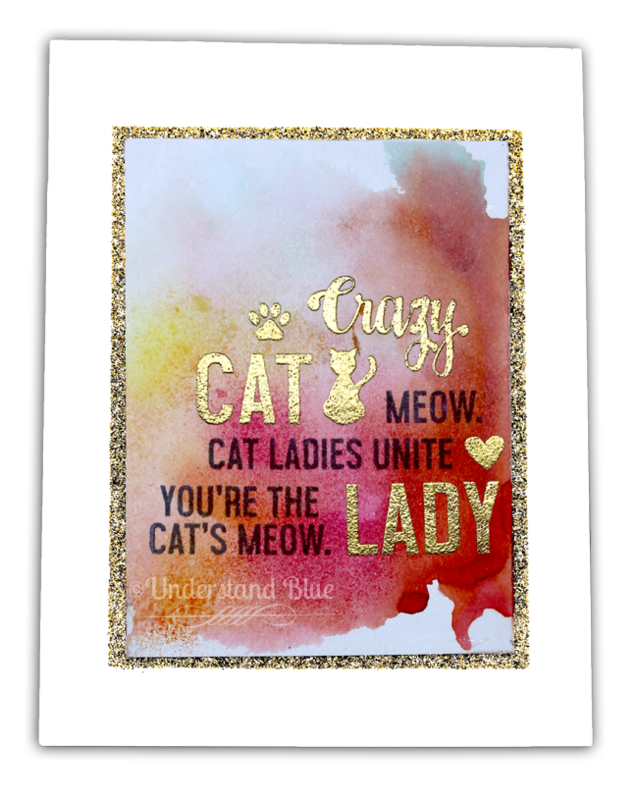 I like the colors you used and the gold touches on the "crazy Cat" card. Cute card and cute coasters too. I only have 2 cats, too, so I'm not a crazy cat lady yet, but I would be if I could afford it! Love the card. It's purrr-fect. Love the way you used the cat sentiments...and the felt cats are adorable!!!! Great technique with the Sentiments!! Love the kitties! I have 6 cats. The mama kitty brought her 5 babies over the stream and we kept them. love the card. Gave me a good laugh. Classy and crazy all in one! Oh the card is purrfect! And the coasters are adorable. Great ideas! Your card and kitty coasters are fantastic! What a fun set! 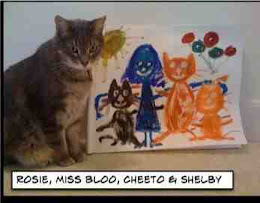 Love the spotlighted Crazy Cat Lady! I guess I went from being a crazy cat lady with 3 cats now down to 2...but I love cats! Love those coasters such a cute idea! Where can I put all these ideas? My brain is getting overloaded. LOL! If you are one cat shy with two kitties, I am already a crazy cat lady! LOVE this stamp set and your card is divine! Need this stamp set, just too cute ;) Love the kitty coasters! Your cat coasters are darling! I love the card, too! A very humorous and cute stamp set. Like the way you used it. The cat coasters are adorable. The card is a nice mix of gold and black on the water colour background! Great cat cards! Love the gold. What fun for you cat-lovers :) The touch of gold and watercolored background work great together! LOL... I saw it here first. So in my opinion you invented it. I love the card. Thanks for sharing. We have two cats and two dogs, so I'm a crazy cat-dog lady!!! Your card is fantastic and I can certainly see how a Misti would be so handy. And those coasters are absolutely adorable!! I love the watercoloring with the gold. Very striking! Your collage card is amazeballs! Coasters - adorable! It would be super hard to actually use them though! What a fun card! Love the combination of sentiments and all the gold! Wow! Beautiful proproject! Really awesome! Concorde & 9th quickly became one of my favorite stamp companies... their designs are fresh, a bit quirky and a bit elegant. Your cat lady card will be CASEd! Lovely. I just need a few more cats to be "crazy". You always wow me, Lydia, but today's card and the coasters are beyond fabulous. Thanks for the inspiration! Adorable card! I love the cat sentiments! Someone is going to hug on you for those adorable cat coasters! Hopefully she'll put them on her blog! Wow, I don't know which project I love more...the beautiful card or the adorable cat coasters! The cat-word collage is amazing and so clever...and the cat ooasters speak for themselves! Ooooh, this card is so fun with that gold embossing and all the cat words! This looks like such a great stamp set, and those little felt cat coasters are waaaaay too cute to use as coasters. I'd want to keep them in my purse to peek at all day long! Oh, what a fun cat stamp set!!! I guess I am just one short of a crazy cat lady myself! :) The coasters are so cute! I have been enjoying all your photos and your travels!!! Love your projects..so much fun!! Love your card. I have three cats (two by accident) and adore cat stamps. Misti is a genial tool, love it! What a great stamp set Very cute card! And those cat coasters are adorable! Oh a stamp set just for me! using the gold really makes the card pop. thanks for sharing. Love this! The cat lady stamp is adorable!! I love your watercolored background for your repeat stamping and heat embossed gold words. Your card really pops Lydia. TFS. What did we ever do without our MISTI? I need this cat and I only have 1 feline!! Your card is wonderful for this cat lover! Awesome stamps!